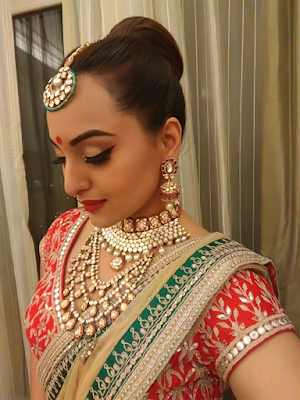 Nobody can deny the fact that Sonakshi Sinha is a versatile actress. She is a singer, a hot killer actress, a graceful dancer and now for sure she is a splendid future bride-to-be. 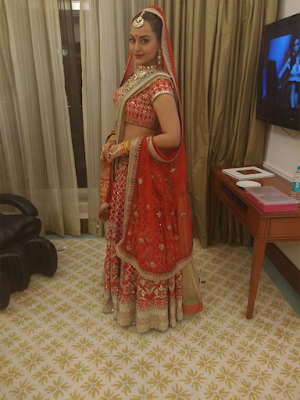 Dressed in a beautiful bridal lehenga from Anita Dongre, her beautiful look will take your breath right away. From top to bottom, she is looking amazingly beautiful. How you liked her look? Let us know in the comments below.